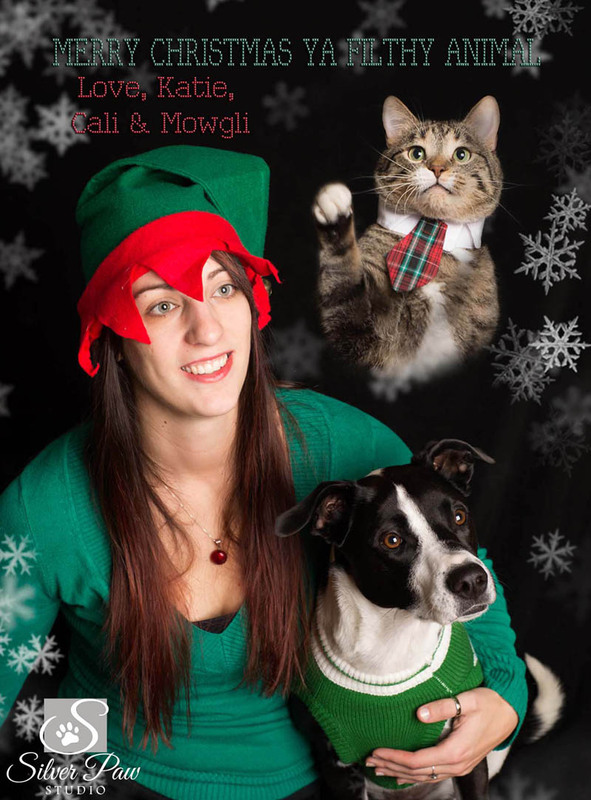 Katie contacted me with an idea to create an Awkward Family Photo Christmas card. So we met over coffee and planned our shenanigans. Floating heads, elf hats, ugly sweaters, and a laser light background were all on the list. 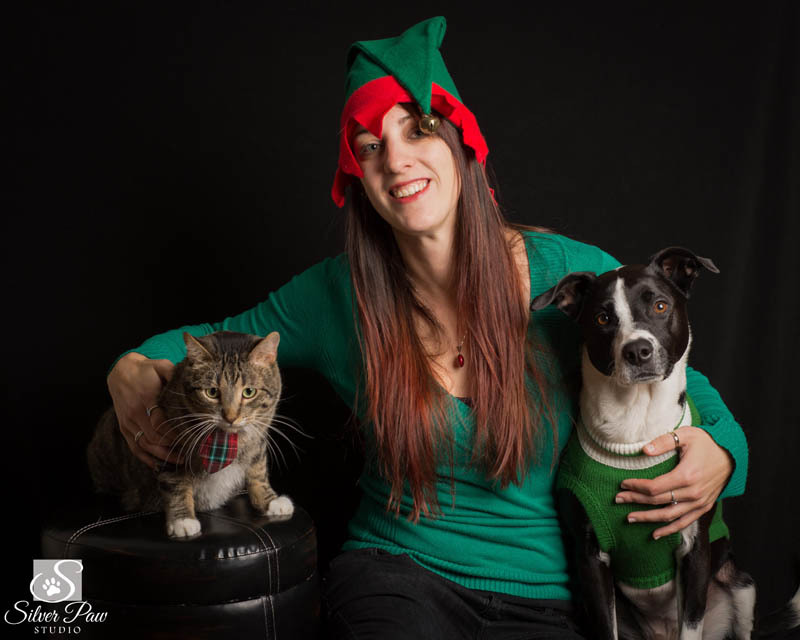 Katie scoured the city and found Cali, the border collie mix, and Mowgli her new kitty, colorful Christmas outfits for the occasion. Everyone behaved well for the photo session at their house. Mowgli squirmed a bit and wandered away a couple of times but overall looked fabulous. Cali was eager to please for the whole session. We did manage to get one photo of the three of them together. I created four different options for the Christmas cards. After some deliberation Katie decided on this card with the black background and cross stitch font. Hawk is an 11 year old German Shepherd very special to not only Bill and Lois but the entire County of Clinton in Iowa. 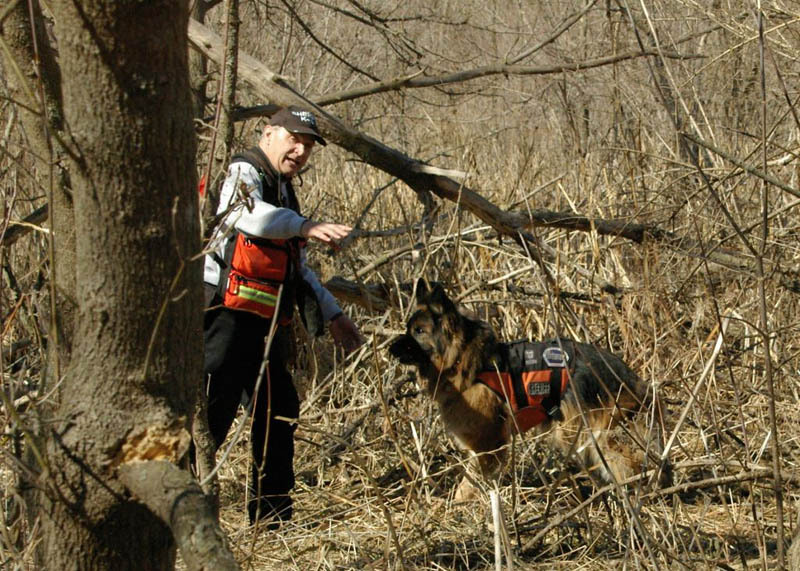 Hawk is a certified Search and Rescue Dog, police dog, and therapy dog. He and his brothers, Strider and Deker, work cases such as robbery, drowning, missing children, and cold cases to name just a few. During Hawk’s normal swim at the local dog therapy pool Bill noticed Hawk’s nose bleeding. After exams and testing the veterinarian diagnosed Hawk with a cancer in his snout. The Halls jumped on-line to research their treatment options. Colorado State University (CSU) offered a three day treatment instead of several weeks. Everyone loaded into the truck for the 850 mile trip from Iowa. Once in Fort Collins they checked in at CSU where they realized he could have permanent scaring, he may not react well to anesthesia, or the treatment may not be 100% effective. That’s when they decided to call me. “This could be his last professional portrait,” said a choked up Bill. Of course we immediately scheduled a session that afternoon at a local park. We chose this setting as it represented terrain he would typically work in. At least one of the images will be on his official Sheriff’s office trading cards in the near future. Hawk did fantastic. He had no idea he was even ill. The setting sun made him glow next to the river and in the field. His badge shone proudly nestled in his brown and black fur. We met the next day while Hawk underwent his first treatment. They told me all about his job, the cases he’s worked, and the amazing community they live, work & volunteer in. Bill and Lois are truly inspiring. Their enthusiasm for the dogs and their work knows no bounds. I could have sat chatting with them all evening. I feel so blessed to have worked with such a magnificent family. I am happy to report that Hawk breezed through his treatments and the drive home with absolutely no upsets! Hawk will be returning for a recheck at CSU this spring and we have already planned to meet up. Be watching for future updates! Click here for a video from 2012 showcasing Hawk with Bill and Lois as a Hy-Vee Hero. 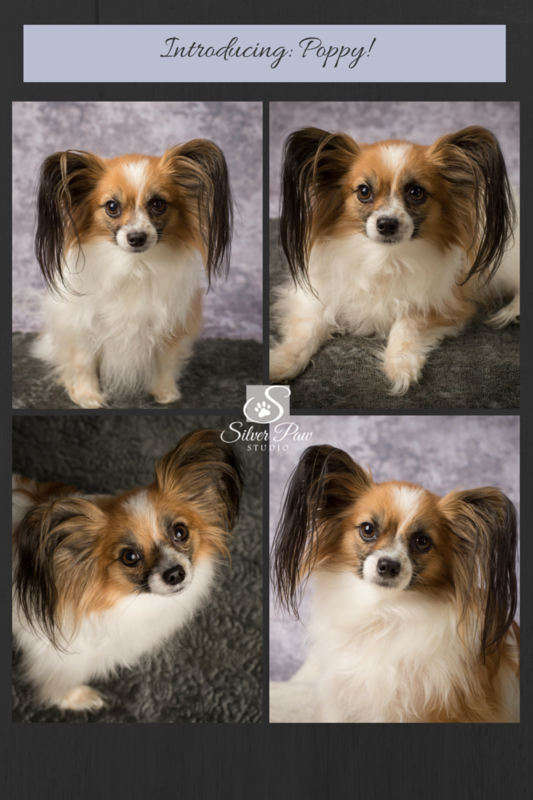 The Papillon is “One of the oldest of the toy spaniels, it derives its name from its characteristic butterfly like look of the long and fringed hair on the ears,” Wikipedia. Poppy could almost flutter through her Pacific Northwest country acreage. In contrast is her brother, Cholo, with short wispy hair adorning his ears. Poppy is a new member of the Hosey household. After a two year battle with heart disease Cholo’s older sister, little Jewel, passed away this summer. Being an only child did not suit Cholo so along came Poppy. Poppy loves her new country home and regularly explores while everyone is tending to plants and chores on nice days. She adjusted quickly to her doting retired pup parents. Her space on the bed is claimed, she settles in on a lap for afternoon naps, and eagerly inhales her gourmet meals. Meeting her new brother went so smoothly I would think she had been a fixture of the family for years. Being a new addition we didn’t know how she would do in a photo studio set up at home. We had nothing to worry about, a few tasty treats had her sitting pretty in every image. She even sat patiently next to her squirmy brother. Do you have a new addition to your furry, feathered, or fuzzy family? Why should human babies have all the limelight? Consider a photography session to announce your new arrival! We can even design announcement cards. Have you ever bought a new car and suddenly noticed that model all over town? I think that is what it’s like with animal lovers. Somehow we are attuned to each other. Maybe it’s the “Wag More, Bark Less” bracelet, or the pet lovers license plates, or the “Wipe Your Paws” welcome mat. For me it’s the way someone lights up when you mention animals. When I met Ashley at a business event I wore my Monique Renee Photography polo shirt (parent company of Silver Paw Studio). The moment I mentioned pet photography her eyes lit up and for the next 20 minutes we swapped pet stories. The story of Miss Bliss instantly tugged at my heart. Spring of this year Ashley found Miss Bliss at Animal House Rescue here in Fort Collins. She fell in love with the little special needs shihtzu and whisked her home to her boyfriend Mike and Maltese Rambo. Everyone knew Miss Bliss came with a liver issue and had her on special medication. But Miss Bliss kept feeling worse so Ashley took her in for an MRI. Bleak news of a liver shunt made it clear that she would have only months left in her new family. Ashley and Mike showered her with love, attention, and medical care. During her photo session she wore the cutest little skirt diaper. When they had to work long days “grandma” would spoil the dogs. Rambo taught Miss Bliss the joy of carrots as treats. By October she had taken a turn for the worse and wasn’t expected to make it through the weekend. We canceled the photo session and held our breath for her to perk up. She bounced back for a few days so we scheduled for November 7th. Unfortunately by November 5th she completely lost her sight and Ashley and Mike made the difficult decision to let her go. We all arranged our schedules to photograph her that night. I set up my studio in the entry of their home and gently curled Miss Bliss on a fluffy pillow and soft blanket. 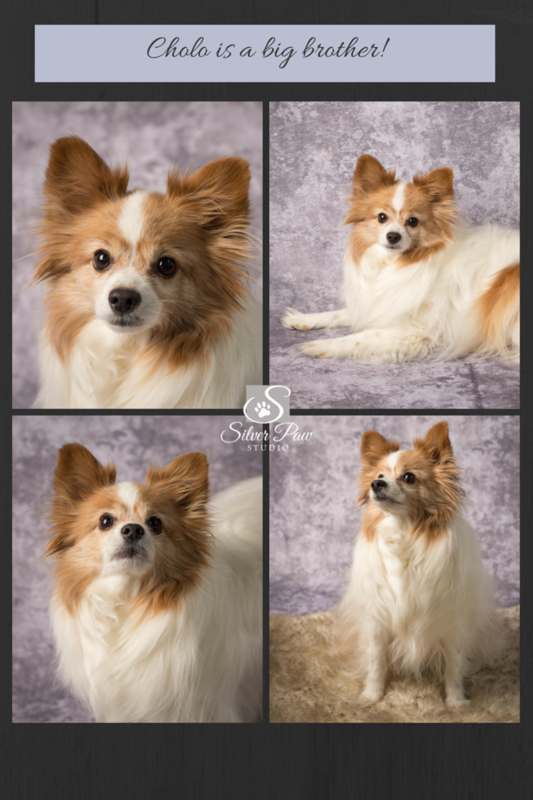 Rambo sat next to her for a couple images and at the end the whole family sat together. She enjoyed one last carrot and lots of loves from everyone. Two weeks later I met with Ashley to show her all the images. She chose this nice trio to display in her home. Everyone is adjusting to the absence of Miss Bliss but she will never be forgotten. 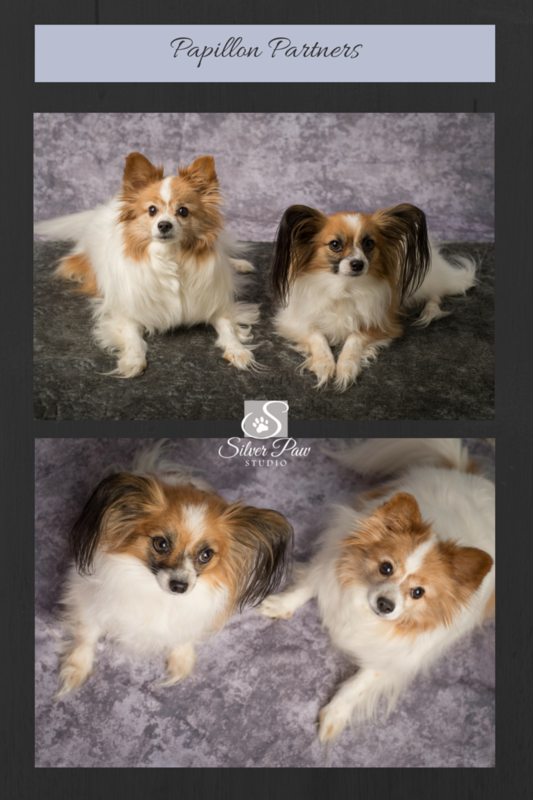 As Silver Paw Studio I offer a special portrait session for hospice care pets. The Family Jewel Session is tailored especially for elderly or infirmed pets generally near the end of their life. As a pet lover I know every moment is cherished from puppy hood through the golden years. 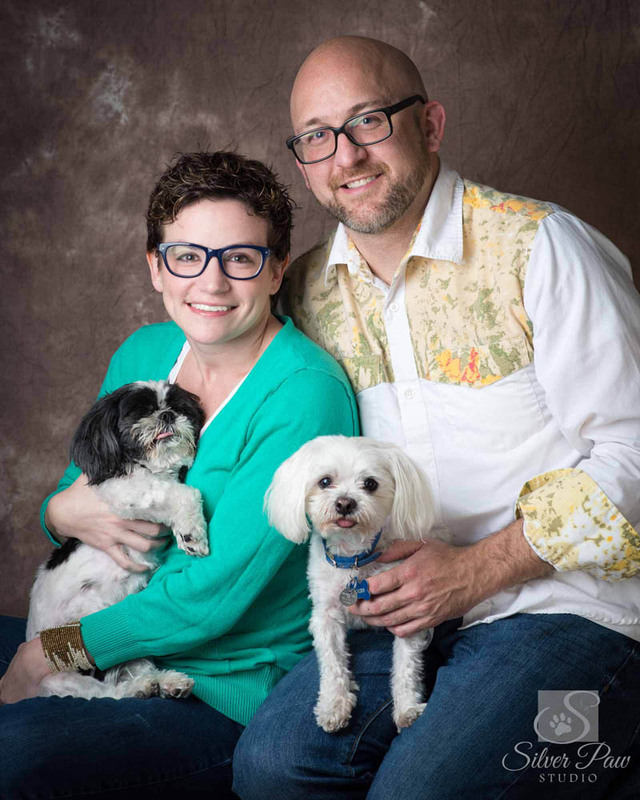 Please call me if you have a pet you would like one last portrait session with.